Citing 100% occupancy rates at their green vacation rentals and increased sales of green home products, EcoLuxury announced a new website with listings for green and hypo-allergenic vacation rental properties, green products guests often take home with them, and do-it-yourself guides for greening vacations and homes. We have 100% occupancy at our properties in Florida and Arizona. Many Americans skipped their vacations this year, but we found those who got a good price along with a high quality, healthy experience still hit the road. Dana G. Mayer, owner of EcoLuxury, said "We have 100% occupancy at our properties in Florida and Arizona. Many Americans skipped their vacations this year, but we found those who got a good price along with a high quality, healthy experience still hit the road." Mayer explained why travelers choose green vacation rentals over more traditional lodgings, "Green is going mainstream. Affordable green vacation rentals are available all over Europe, and people want the same choices in the U.S. We have no shortage of guests and we didn't run any gas card or rate specials." "Our customers consistently say they have trouble finding U.S. vacation rentals and products that don't harm them or the environment, so we designed a new website to give them a place to check out properties and products that don't have toxins or big footprints," Mayer continued. "Let's face it, why wouldn't someone want to be green? Everyone wants to breathe clean air, drink clean water, and stay in a house that isn't filled with pesticides and poisons." As for why deep green practices pay off, Mayer says, "As consumers have more choices, they also become more discerning, they avoid businesses that green-wash and look for e-policies and labels demonstrating the business has a deep green commitment. We go far beyond simply saying we recycle and have changed light bulbs. That's not green in my book, although many B&Bs and listing services say it is." The new EcoLuxury website features fully modernized, eco-friendly vacation rental homes in St. Augustine, FL, Scottsdale, AZ and Sedona, AZ. These luxury one to three bedroom villas and casitas offer fully equipped kitchens, Internet, pools, tennis courts, and spa tubs. The shop, coming online this fall will feature items that guests often to take home with them from the vacations spots, including local art and kitchen equipment. Free, online Green Guides include "Easygoing Green Vacation Tips," "Are You Getting Greenwashed?" among others. For additional information on the news that is the subject of this release contact Dana G. Mayer or visit http://www.EcoLuxury.us. 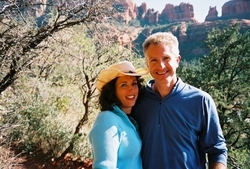 Green vacation rentals and shopping online and on-site in Sedona, AZ and St. Augustine, FL.